Above: Tax files of high-earning celebrities will be reviewed by Chinese authorities. After Fan Bingbing (范冰冰) was found guilty of tax fraud and fined 883 million yuan by Chinese authorities, a ripple effect is felt throughout the Mainland Chinese entertainment industry. The State Administration of Taxation is eager to crack down on other artistes who have also evaded taxes. Tax authorities are urging artistes who evaded taxes to self-correct themselves and come forward before December 31 to avoid administrative punishment. It is understood that many artistes will take the warning and “surrender” themselves to avoid further trouble with the law. Several high-profile Mainland artistes are also allegedly suspected of tax fraud. An actress with the surname of “Y” is very active in the industry and involved in many types of work. But after tax authorities’ crackdown on celebrity tax fraud, she has distanced herself from her studio to avert legal responsibilities. An actor with the surname of “H”, who is one of the top earners in the industry and invested in many commercial and film projects in recent years, is also suspected of tax fraud. Director “F” and actress “H’s” husband “Y” have also allegedly used “yin yang” contracts to avert taxes. The State Administration of Taxation will focus on top-earning artistes and review their tax files for authenticity. 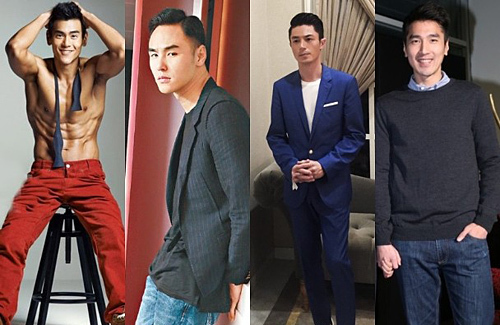 Tax authorities will audit 200 artistes whose filming fees are over 10 million yuan, which include Taiwanese actors such as Eddie Peng (彭于晏), Wallace Huo (霍建華), Mark Chao (趙又廷), and Ethan Ruan (阮經天), who are immensely popular in Mainland China and earn lucrative filming fees. Many artistes’ production companies are registered in Wuxi and Hengdian due to favorable tax concessions. Larger film production companies and distributors are primarily registered in Xinjiang. Yang Mi (楊冪), Angelababy (楊穎), Fan Bingbing (范冰冰), Vicki Zhao (趙薇), Nicky Wu (吳奇隆), Huang Xiaoming (黃曉明), Li Yifeng (李易峰), Zanilia Zhao (趙麗穎), Zhou Xun (周迅) all registered their companies in Xinjiang due to the favorable tax climate. I wonder if the tv show host have the tiniest inkling when he did that expose that his revenge scheme will snowball into such great effect. @kidd possibly that’s why many want him dead lol! These celebrities must be like you make me lose millions! Revenge or not, he is doing right to the people! Because without this, the cap on celebrity’s earning is not enough to reduce their fee as they can still sign the Ying yang contract? @gunit101 Self preservation, not spite. Year ago, the trio of director Feng XiaoGang, producer Liu and main actress Fan BB made a movie ‘Mobile Phone’. After its release, it purported a semi-autobiography of Cui, portraying him to be an adulterer, unsavory character, etc. After a big fuss, they kissed and made up. June 2018, the trio announced a sequel, Mobile Phone 2. Cui warned Feng to cease and desist and ‘I have dirt on you’. Feng, unbowed till today, told him to p off. FBB, who frequently worked with Feng, is caught in the crossfire. Cui admitted he was out to get Feng. Bottom line: if FBB didn’t have a Yin Yang contract, she wouldn’t be affected. If you read Mainland news, you will be surprised at the amount of netizens’ support for Cui. @dinar What makes Cui think it is him? @mangotango In press conferences, they talked about this TV host, describing him, etc., just short of naming him. Of course after that, they claimed the press misunderstood them. @gunit101 At the end of the day, it doesn’t matter who “started it” – if these celebrities didn’t evade taxes and didn’t sign yin yang contracts, then they have nothing to worry about. Fan Bing Bing has no one to blame except herself for doing something she knew was illegal and now that she’s been caught, she needs to stand up and bear the consequences of her actions – same goes with all these other celebrities in the same boat. @dinar Not surprised at the amount of support for Cui because technically, he didn’t do anything wrong in that he didn’t force any of these celebrities to commit crimes. Sure, FBB got “caught in the crossfire” due to her contract being the one that he happened to use to get at Feng Xiaogang, but it’s not his fault that FBB and FXG (or any other celebrity caught up in this) chose to do something illegal….those that are threatening Cui for being the whistleblower are either delusional fans who are bitter that their idols got caught or hired thugs trying to make him pay for exposing these gangster celebrities’ misdeeds…they are the ones that should be ashamed, not Cui…. @gunit101 Missed it. What show was it? Is actor “H” HXM and actress “Y” AB? I think if the govt audit restaurant’s books, the can get quite a sum in fines. It is well known many restaurants have two accounts. Many only accept cash.